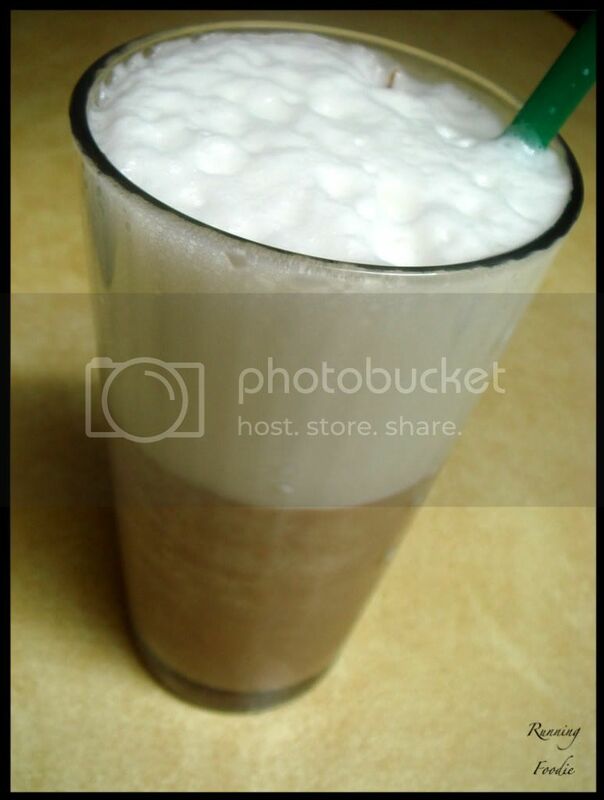 According to various websites, the egg cream was originated in Brooklyn by Louis Auster, a candy shop owner. According to various websites, an authentic New York Egg Cream can only be made using Fox's U-Bet chocolate syrup. 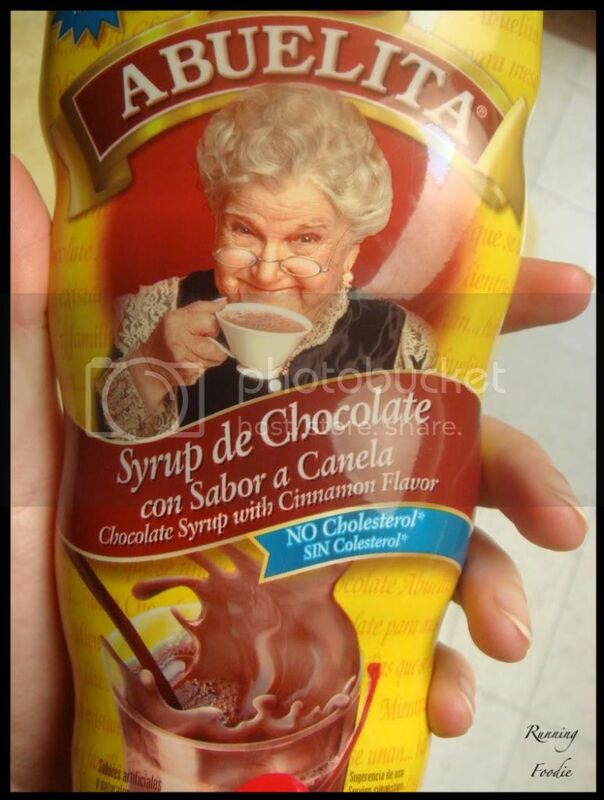 If you want a Seinfeldian version, use Bosco Chocolate Syrup. 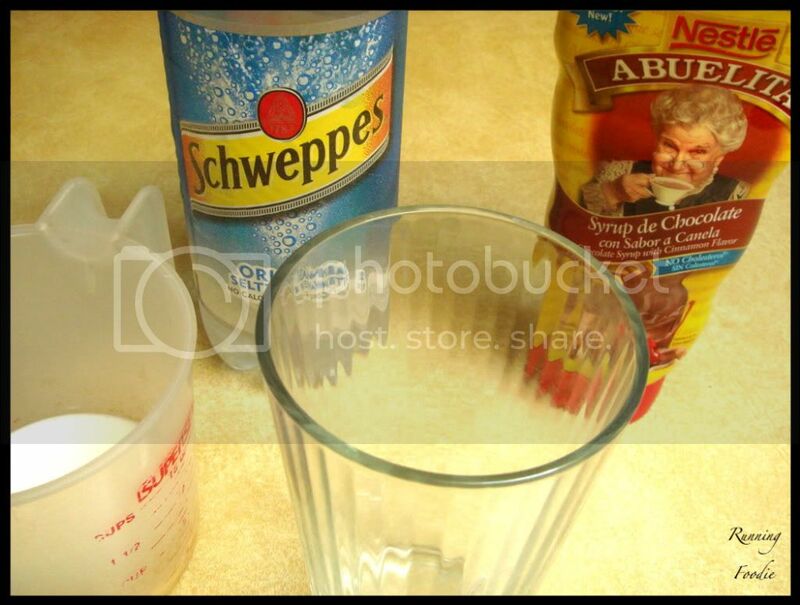 Most sites seem to concur that you first pour the seltzer into the milk, then add the chocolate syrup along the side of the glass. Gathered are my ingredients, seltzer, milk, chocolate syrup flavored with cinnamon, a glass, and somewhere is a tall straw from Starbucks to stir in the syrup. Instead of measuring the seltzer I just poured it in. It was a bit much, so I had to drink some of it before adding the syrup. Pour the syrup in along the edge of the glass and stir carefully but thoroughly so as not to disturb the foam on top. There is the finished egg cream. I don't think I vigorously stirred the milk and the seltzer to create a really bubbly foam, and I don't particularly like the way the foam tasted because, well, it was rather tasteless, but the contrast between the milk and the bottom part looks cool! 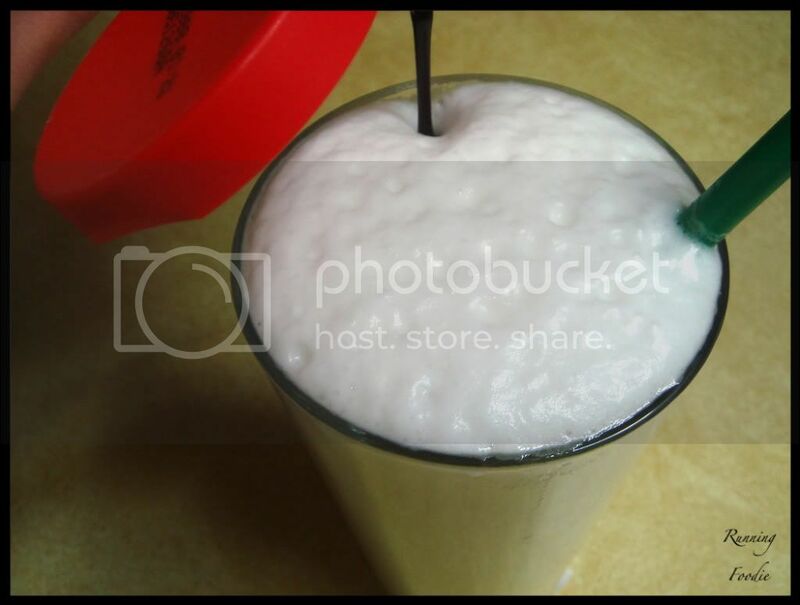 (Judging by the pictures of egg creams on various websites and the recipe below, the foam isn't supposed to be such a thick layer, thus reducing the tasteless factor.) Later on, I'll post a recipe for my mom's version of an egg cream. ** Fox's U-Bet Chocolate Syrup is used in New York. 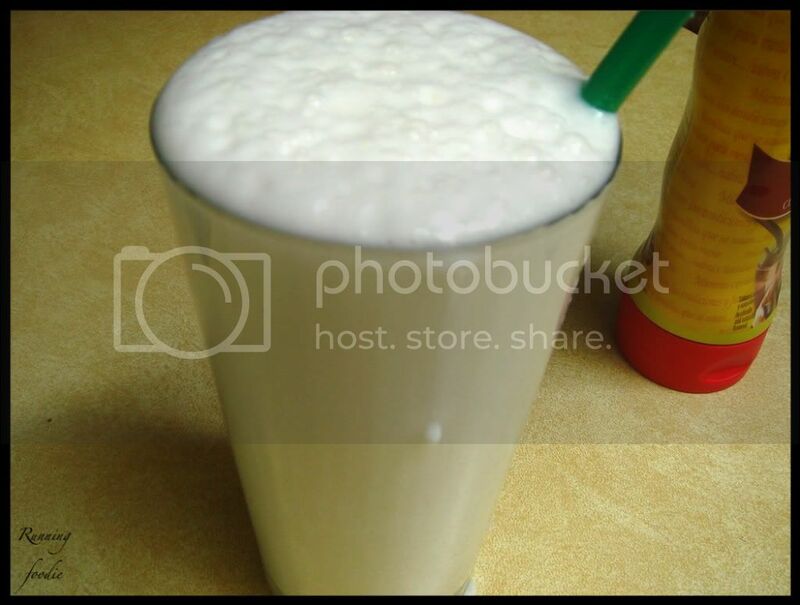 Pour 1/2 inch of cold milk into a tall soda glass. Add seltzer or club soda to within 1 inch of the top of the glass; stir vigorously with a long spoon (this will cause it to become white and bubbly with a good head of foam). Very gently pour 2 tablespoons of chocolate syrup slowly down the inside of the glass; briskly stir with a long spoon only at the bottom of the glass where the chocolate sits. The resulting drink should have a dark brown bottom and a 1-inch high pure white foam top (if you mix it too much, the foam disappears). NOTE: Do not let Egg Cream sit for a long period of time-5 minutes or more; it will go flat. I had never heard of egg cream but now I am intrigued and must try it. Looks really good. That DOES look really good! I've never had an egg cream, not sure I've even heard of it. Why is it called egg cream when there is no egg? Colette - It's called an egg cream because of how the foam on top resembles beaten eggs, though the one I made looks more like an egg white cream! Whooh! Wait, you mean it tell me theres no egg in it? For some stupid reason I thought it did. lol. It looks so yummy and refreshing in this hot weather! Valerie - I'm definitely going to be enjoying these often during the summer! 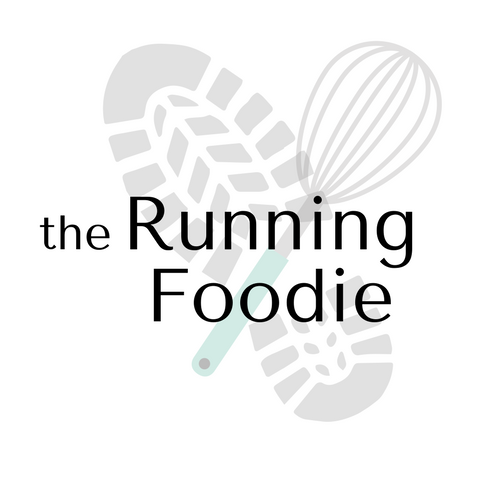 Recipe Girl - Try one! You could use flavored syrups instead of chocolate syrup, too.